사회불안은 많은 사람들이 사회적 상황에서 경험하는 현상으로, 다른 사람들의 평가를 의식하며 나타나는 특징이 있다. 많은 연구들은 사회불안이 높을 때 주의 편향과 해석 편향을 포함하는 정보처리 편향이 심해진다는 것을 일관되게 보여주고 있다. 다시 말해 사회적 상황에서 과도하게 자신의 불안상태에 주의를 기울이고, 타인의 부정적 반응 단서를 과민하게 지각하며, 자신의 행동과 타인의 반응을 부정적으로 해석할 뿐만 아니라 그 상황에서 중립적이거나 긍정적으로 받아들일 수 있는 측면을 보지 못하는 특징이 나타난다. 이러한 특징은 불안 상황이 지나간 후에도 부정적으로 반추하는 사후처리과정 및 어떻게 하든 불안을 감추려고 하는 안전행동과 더불어 사회불안을 영속화시키는 주요 기제로 이해되고 있다. 진화심리학적으로 볼 때 사회불안은 타인과의 경쟁에서 느끼는 열등감과 낮은 자존감으로부터 나타나는 불안이자 복종행동이라고 여겨지며, 지배자가 아닌 종속자의 위치에 있을 때는 정상적이고 적응적인 과정일 수 있지만, 특정 맥락에서 부적응적으로 기능하는 것일 수 있다. 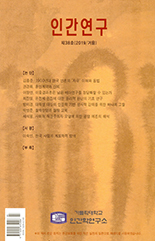 사회불안을 치료하기 위한 방법으로는 현재까지 인지행동치료가 가장 효과적인 것으로 알려져 있다. 인지행동치료는 사회불안의 부정적 평가에 대한 두려움과 관련된 해석을 교정하는 것이 주요 목표이다. 그러나 사회불안의 주요 특징으로서 부정적 자기개념과 낮은 자존감을 치유하기 위해서는 부정적인 편향을 줄이거나 없애는 것뿐만 아니라 현실을 기반으로 하는 긍정적인 편향을 강화해주면서 좀 더 수용적이고 자비로운 눈으로 자신의 한 부분으로서의 사회불안을 바라볼 수 있도록 도와줄 필요가 있다. Social anxiety is a phenomenon experienced in social situations, and is characterized by fear of negative evaluation by other people. Many studies consistently show that information processing biases, including attention bias and interpretation bias, increased when social anxiety was high. In other words, social anxiety is characterized by one overly attending to their anxiety symptoms, and perceiving the negative cues of others’ behaviors, as well as not only negatively interpreting their response and others’ responses but also ignoring neutral or positive aspects in social situations. These characteristics are known to be major mechanisms for perpetuating social anxiety, along with post-event processing and safety behaviors. In evolutionary psychology, social anxiety may be a form of competitive anxiety and submissive behavior from a lower social rank. Therefore, when one is in a subordinate position, these may be normal and adaptive behaviors that come to function maladaptively in certain contexts. Until now, cognitive behavior therapy is known to be the most effective method to treat social anxiety. Cognitive behavior therapy aims to correct the interpretations associated with fear of negative evaluation. However, for treating negative self-concept and low self-esteem (core features of social anxiety), it is necessary to help socially anxious persons increase positive biases and accept their anxiety with a compassionate mind, in addition to decreasing negative biases.